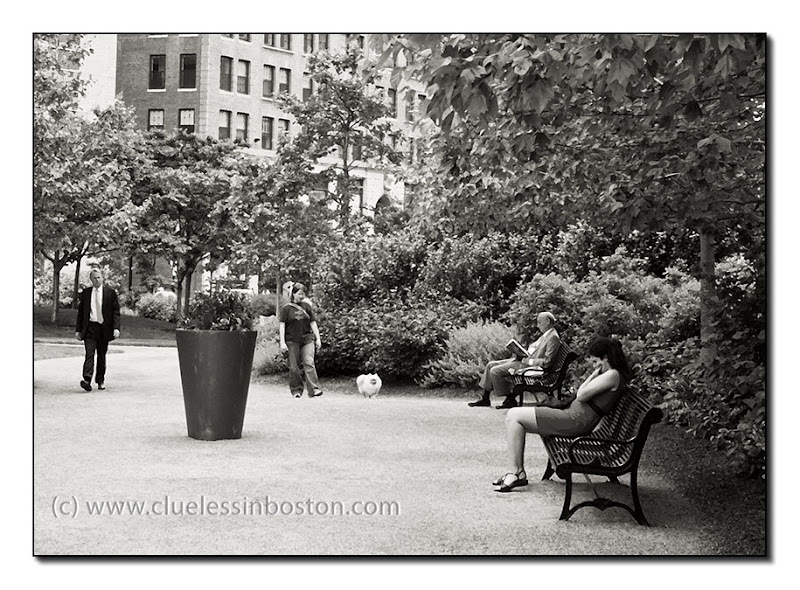 On the Rose Kennedy Greenway. Nice kind of symetry between the four people, in two pairs. John is right about the two pairs in your photo. It almost appears to have been choreographed with two sitting on benches reading and two walking, a male and female in each pair. Wonderful! When I first saw this I thought of Paris!